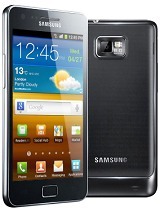 The Samsung Galaxy S II Plus comes with the same 8MP camera as the Galaxy S II and is able to capture photos at a maximum resolution of 3264 x 2448 pixels. It has an LED flash to assist it in low lighting conditions. On the left, you get several controls and the good news is that you can pick any four shortcuts to put there - you can easily have all frequently used features just a tap away. The fifth shortcut always points to Settings. You can also move the icons around to your liking. The Galaxy S II Plus has an extensive set of features: touch focus, smile shot, continuous shot, panorama mode and can snap photos during video recording (but at only 720p resolution, basically a frame from the video). What's missing is HDR. The actual images have good quality even if not quite the best we have seen from an 8MP snapper. Despite the unfavorable weather conditions around the office, the Galaxy S II Plus managed to produce photos with little noise and reasonable amount of resolved detail. We found colors to be pretty accurate (though there's still some room for improvement) and the dynamic range decent. Anyone after a reasonably priced and reasonably performing smartphone could do a lot worse than the Samsung Galaxy S II Plus but, to be honest, the plus in the phone's name isn't entirely convincing. Sure, there's Jelly Bean out of the box, but the screen resolution (and size) haven't improved one bit and the (still not officially named) chipset feels like a downgrade. This is not to say the smartphone is pointless. It seems the Galaxy S II Plus isn't meant to coexist with the regular Galaxy S II - not in the same markets anyway. It's a replacement that looks to optimize manufacturing costs. The reduced storage and the outsourced chipset clearly point in that direction. That way Samsung can afford to price the smartphone more competitively and target the lower midrange, while making resources and facilities available for the production of next-gen Exynos chipsets for the Galaxy S III and probably IV. Now, that's if you're more interested in the big picture. Upgraders, on the other hand, who need to urgently replace an ageing Samsung smartphone for a reasonable price, seem to have yet another option to consider. 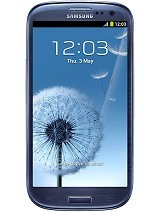 The Galaxy S II Plus is a solid, if not spectacular, smartphone. 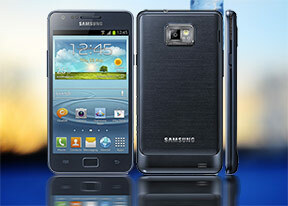 Its dual-core chipset is good enough for the WVGA screen, while the latest version of TouchWiz adds plenty of cool tricks to the already feature-rich Android 4.1 Jelly Bean. It may not be stuff from your dreams, but it's shaping to be a reasonable package that can get a lot of work done.